The wedding quilt flimsy is done! Last week was our annual week long vacation on the Outer Banks of North Carolina. I cart along my sewing machine every year and spend time creating during the hottest parts of the day. I arrived at the beach with all the geese and the rectangle with flipped triangle (still don't know what to call it) sewn and kitted into blocks ready for assembly. There are 81 blocks, each at 8'' finished. To assemble, I went with organized randomness. Let me explain. The dominant color in the quilt is that dark navy. Then there was some green that really, really popped. In order to somewhat control things, I made sorted the blocks into four piles, putting an equal number of navy in each pile as well as distributing the green blocks. 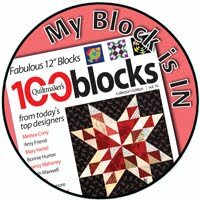 The quilt layout is 9 x 9 blocks so I assembled it in four parts - a 5 x 5 block section, a 4 x 4 block section and two 5 x 4 block sections. My only rules for placement was that two navy blocks not be directly next to each other and to try to avoid similar patterns touching. My daughter helped with the layouts - my simple two rules felt like a puzzle to her! As far as I know, there is only one spot where the rule was broken. I bet you can't find it! My husband and son are hiding behind the quilt and did an awesome job keeping it from touching the sand. I used FQs from this yummy bundle of Blueberry Park goodness. While I tried to crop out their feet, here's a photo feet and all! Finishing the quilt top was my July goal (goal setting post) for OMG. 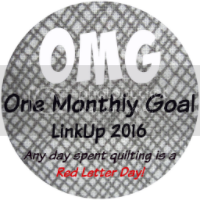 I'll be linking up with OMG here at Red Letter Quilts. 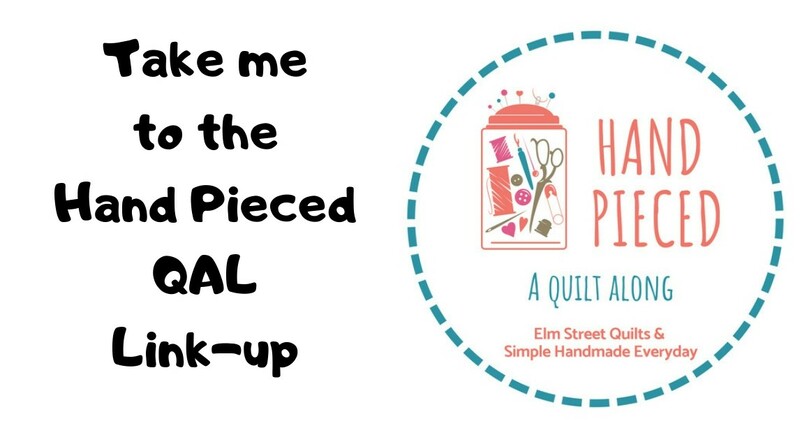 Also linking up with Finish it Up Friday, Sew Cute Tuesdays, , Freemotion by the River, Fabric Tuesday's, WIP Wednesday's, Let's Bee Social, and Midweek Makers. I love this quilt. The colors are wonderful. 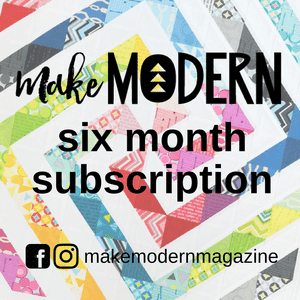 I had this bundle and used it, but would love to do this quilt. Is there a pattern? Yes I'd love to know the pattern too. It looks amazing! It turned out just lovely! Organized random. I love it. That is my kind of design. That's a beauty! And no, the rule breaker is not evident, to me at least! The colors are really incredible and it looks amazing. That will make a super gift. The wedding quilt is sew pretty and made in my favorite colors. This is gorgeus quilt and your photos are so beautiful! Love quilts with feet! Sounds like a great vacation, congrats on the finish. It's beautiful. LOVE those fat quarters! It is a gorgeous quilt. The colour really flows throughout the quilt. It looks beautiful Patty, wonderful quilt...sure looks good in it's beachy photo op too!! Lovely colors -- lots of movement in the pattern. Great job! The perfect colours for the beach. A lovely finish. Just gorgeous! Looks great at the beach! Congrats on your finish! Love your organized randomness! Absolutely gorgeous! Beautiful Patty!! As always I am impressed with your talent. Pretty top and nice pics! Well done!